Walt Disney World Resorts are famous for their incredible theming. Being immersed in the Disney Magic is one of the benefits to staying on-site. Well, you don’t necessarily have to sacrifice that by choosing to stay off-site. There’s a vacation home you can rent nicknamed the “Magical Clubhouse”. It may look like a typical Florida vacation home on the outside, but wait until you see the Magic that is waiting for you inside! 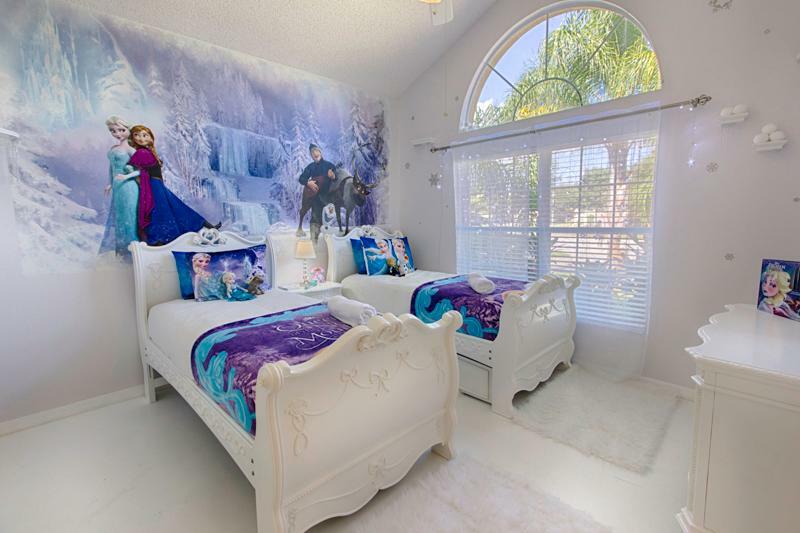 We came across this amazing find on TripAdvisor Vacation Rentals, where the pictures of these incredibly detailed rooms, like the Frozen bedroom, blew us away. 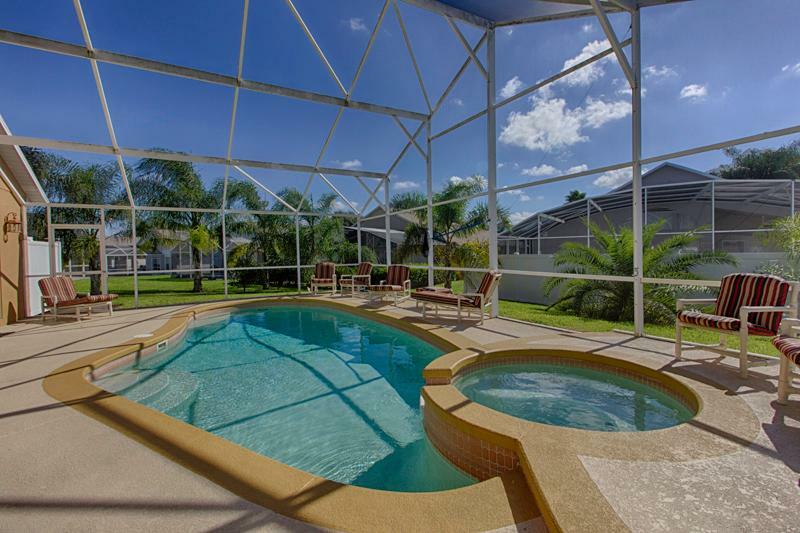 This vacation rental features 7 bedrooms, 4 bathrooms, a hot tub and a pool. It can accommodate up to 15 guests, which makes it a great option for larger families! 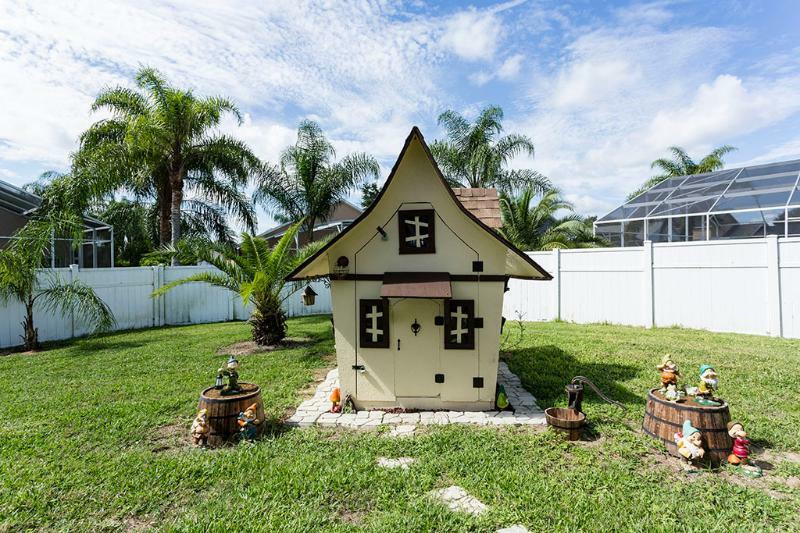 They’ve recently updated the listing with more pictures, including this super cute playhouse in the yard. We had to know more about this vacation rental, so we reached out to the owners to learn what inspired them to create such a fantastic home, and then rent it out! We are a fan of new experiences and Disney is certainly part of it. There is always something new to explore or experience at Disney if you know where to look! What made you decide to create this incredible atmosphere and share it with other families? Our family had vacationed in Orlando in 2007. Since a Disney vacation can be quite expensive and requires a lot of logistics we wanted to have the full experience. We rented a themed house for 2 weeks and invited family and friends to visit us over the course of our vacation. What is most memorable about the entire vacation was the house. I remember my children running from room to room discovering new things and being excited about which room was theirs. After only going to Disney twice, the kids started saying they didn’t want to go to the theme parks anymore and wanted to stay at the house. Of course, they didn’t have to work hard to convince us! Our friends and relatives loved the house and was big enough for us to have 3 different families rotate through. While some of them were on a budget and could only go to Disney one day, the parents were overwhelmed at the experience that their children were able to have at the house. How long have you been renting? We began renting and marketing the Magical Clubhouse in December 2014. Since then, we’ve had 2 major remodels and are continually improving the house. It’s difficult to keep the photographs up to date because of all the improvements! Recently, we put in a Star Wars bathroom, Florida Everglades bathroom, NASCAR Man Cave, and are currently building a Seven Dwarfs Play cottage in the back yard! There are some interesting choices in themes for the rooms. What is the story behind these themes? Since we have 3 children a son (16) and two daughters (Age 12 and 8) we assigned categories to each of them. My son was assigned the Boys and Teenager room. He insisted that that the Teenager room would have a PlayStation 4 and he selected a theme that would involve lighting. The Tron room is really impressive as the shelves and tables change colors. 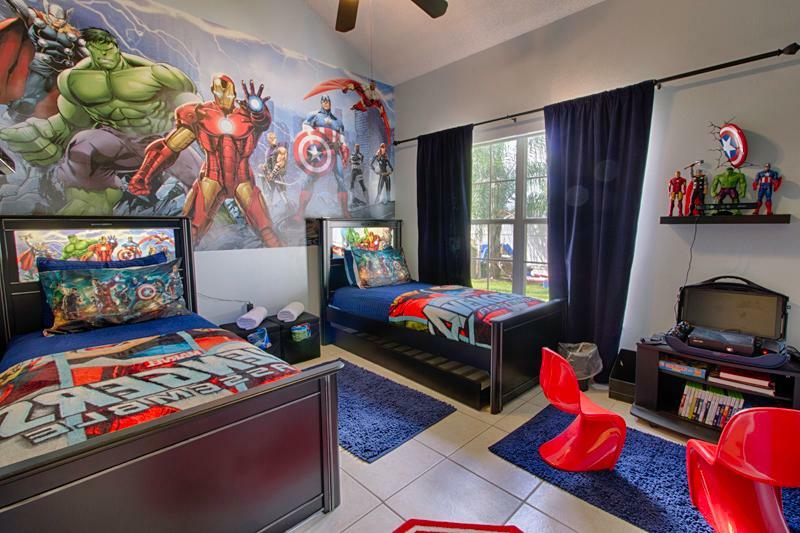 The Avengers were his favorite as a young boy so he naturally selected them and included an Xbox 360 with over 20 games to play. My 12 year old daughter was assigned the Tweens room and selected the Harry Potter theme. It probably has the most detail of all the rooms. My youngest was assigned the Girls room and of course selected the Frozen theme and helped select the accessories. 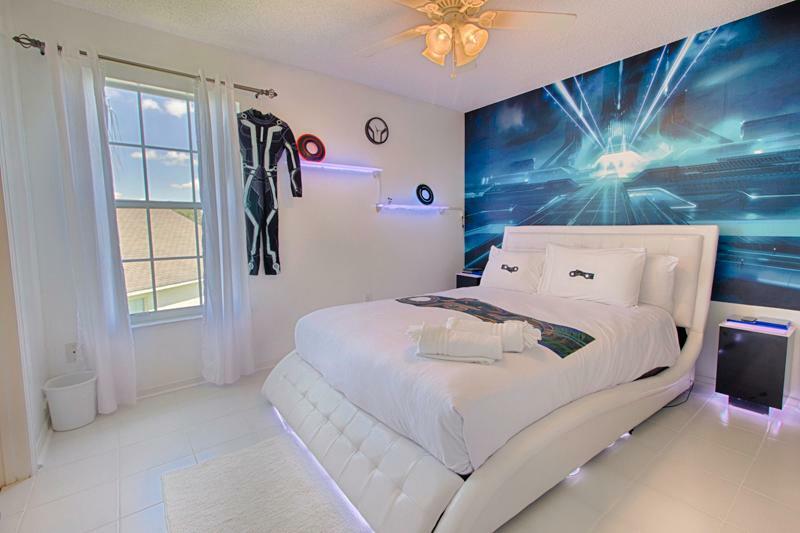 The room comes with acrylic ice cubes, glittered walls and snowflake lighting. My wife created the Beauty and the Beast “Be Our Guest” theme for the kitchen and spared no expense with the French Country design. 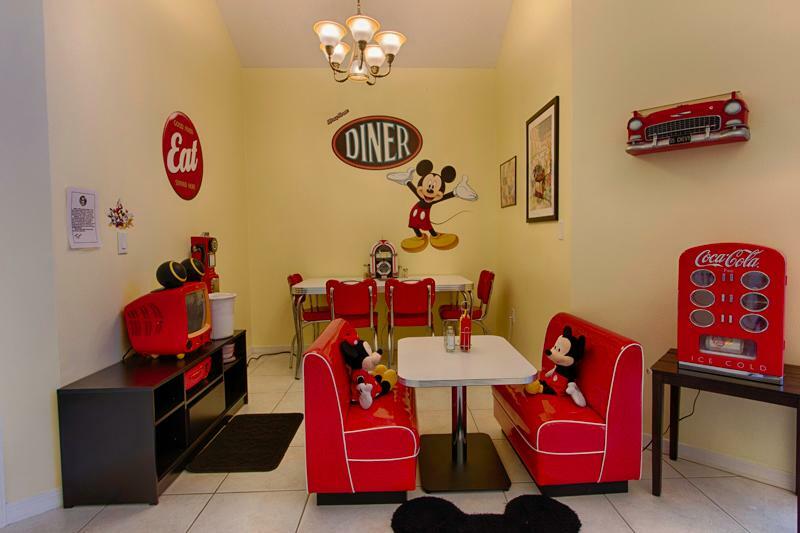 My wife insisted that moms have the option to have a meal free of distractions and developed the “1950’s Mickey’s Diner”. Our guests have loved that children have another place to have their meal complete with Juke Box, TV, custom made diner booths and menus. I was assigned the ‘Man Cave’ and selected a NASCAR theme complete with pool table, lounge area, pub table and of course a large TV. 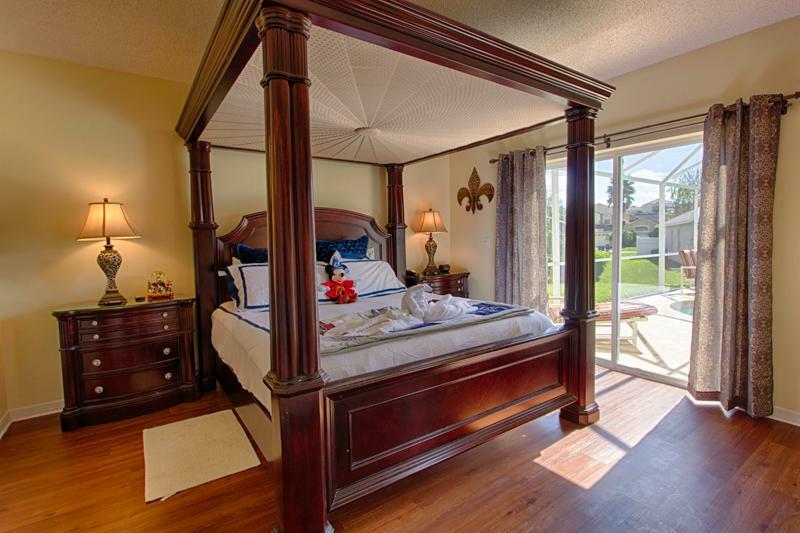 For mom and dad, the Master Bedroom is a neutral territory, which followed a ‘Florida Golf Theme’ where parents can escape if they feel they have theme park overload. have proven to be their favorite. Do you have a personal favorite room or feature of the home? The Magical Clubhouse has its own private pool. The 30 foot swimming pool is always a hit for the whole family and comes with an outdoor Nemo bathroom. Do you visit the parks often? We visit the parks twice a year. 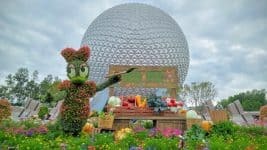 The theme parks are always showcasing something new and we feel it is essential, as a Disney Themed vacation rental, to stay current on new attractions or features. We strive to stay well informed on the theme-park scene in order to give our guests current information to help them plan their stay. Visiting the parks as much as possible enables us to add value to our guests, most who have been planning a Disney vacation years in advance. What is your favorite attraction? Disney’s Hollywood Studios Tower of Terror is our family favorite! We will typically ride 5 or 6 times in one visit. 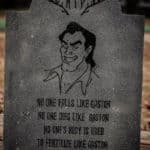 I think this is our favorite because you have an entire experience leading up to the ride complete with the story telling and intricate details of the hotel. I believe this is why the Magical Clubhouse is so successful. We have incorporated many details which contribute to the Disney experience from the time that you arrive in Florida to when you depart. Any top tips for guests staying at your vacation rental for making the most of their vacation? Yes! Don’t be surprised if your children get tired of the theme parks after just 2 visits. Space the visits apart and plan on relaxing at the Magical Clubhouse in between visits. It allows everyone to recuperate and you’ll save a lot of money! There are plenty of things to do at the house as a family and plenty of places to escape for some quiet time. Our guests have commented that their fondest memories are of their children exploring the house, trying on the dozens of costumes and playing in the pool. Also, save money and eat in when not at the parks! The nearby grocery store has a fantastic deli section where you can easily purchase salads, meats and cheeses for snacking or light meals. We have developed an online Welcome Packet that provides more tips and details on what to expect and how to prepare. Also, vacationers should keep in mind that the off days are a great time to explore other parts of Orlando. Another suggestion, on the day of arrival, consider going to Downtown Disney to quickly get the Disney experience. Kids are usually very anxious (but tired from traveling) and Downtown Disney is only about 6 minutes away with free parking. 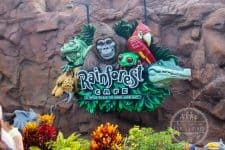 It’s a quick place to visit while waiting to check in or going for a quick bite to eat at the Food Trucks on the West side. 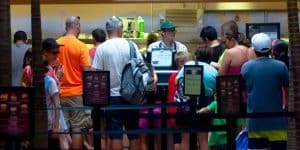 We also like to pop in and buy the kids a themed candy apple or cookie from Disney’s Candy Cauldron or ice cream from the Ghirardelli Ice Cream and Chocolate Shop. 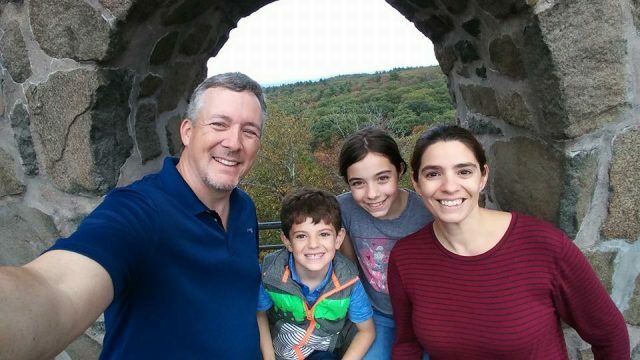 We can’t thank Michael and his family enough for taking the time to answer our questions. It is clear that the Magical Clubhouse is a labor of love. It’s very inspiring. I can’t decide between renovating my own house or renting the Magical Clubhouse. Unfortunately, I don’t think they’ll take my Disney Vacation Club points as payment. 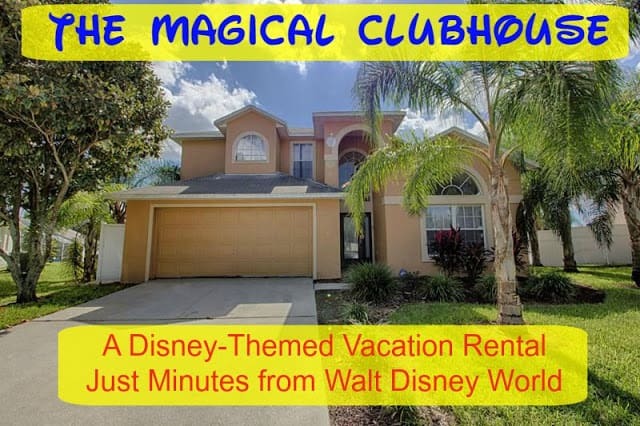 You can get more info on the Magical Clubhouse on its TripAdvisor Vacation Rentals listing. Check out the rates and availability for your next Walt Disney World vacation. And if you need another family to stay with you, let us know!! 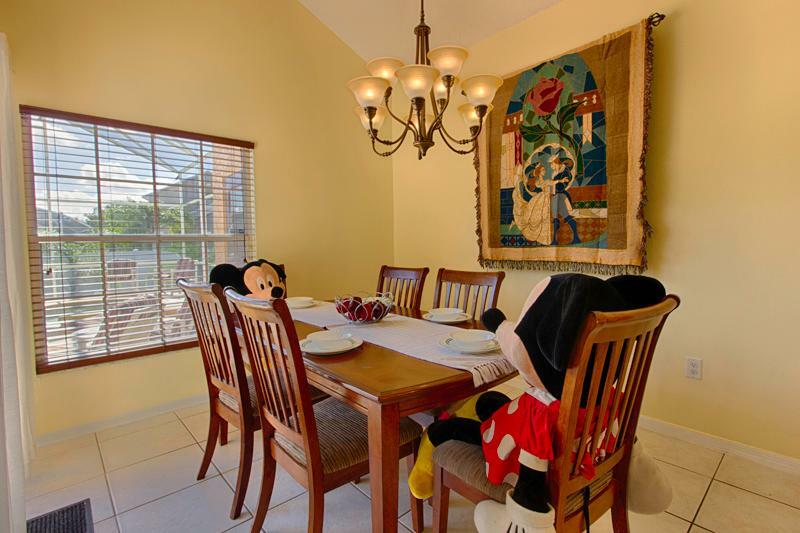 Do you have any stories about staying in a vacation rental home near Disney? We’d love to hear them! You are right, Joanna! I don't think anything is as cool as that hamster! Wow what an awesome home! Love the Frozen room, my girls would go nuts! Okay I know this is a Disney blog, but the Harry Potter room is AWESOME!! 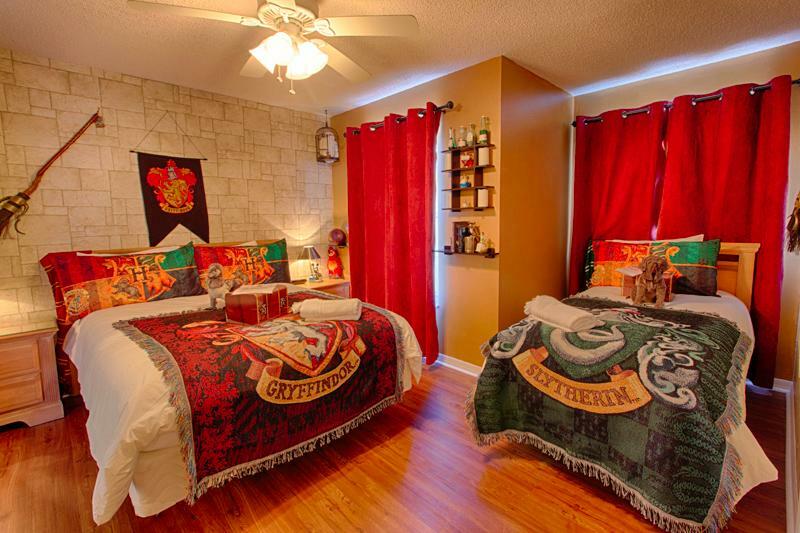 (I love the Slytherin & Gryffindor bedspreads). If I were to stay here Id definitely be staying in the Harry Potter room!! 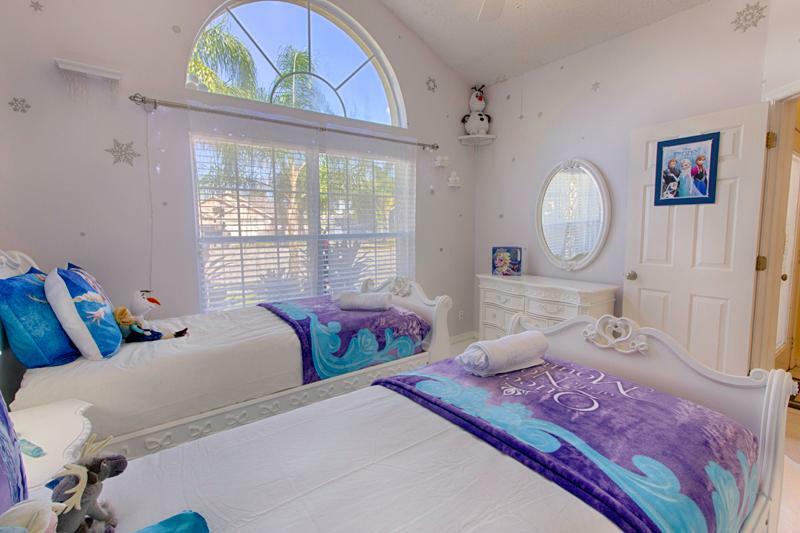 There's nothing wrong with a couple of rooms being non-Disney. The Harry Potter rooms looks nice! Looks great! I was disappointed though that the Slytherin bed is only a twin! I'm used to a bigger bed. Maybe you can switch the bedspreads? ?